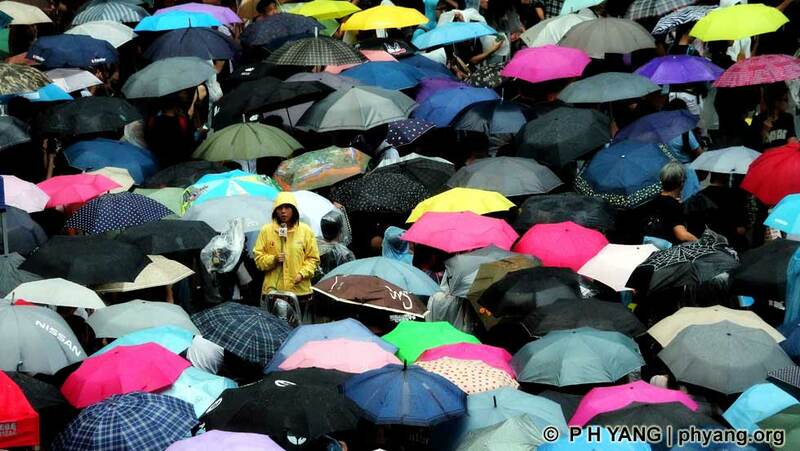 A lone reporter from Asia Television (ATV) reports as thousands of protesters brave the frequently heavy rain. 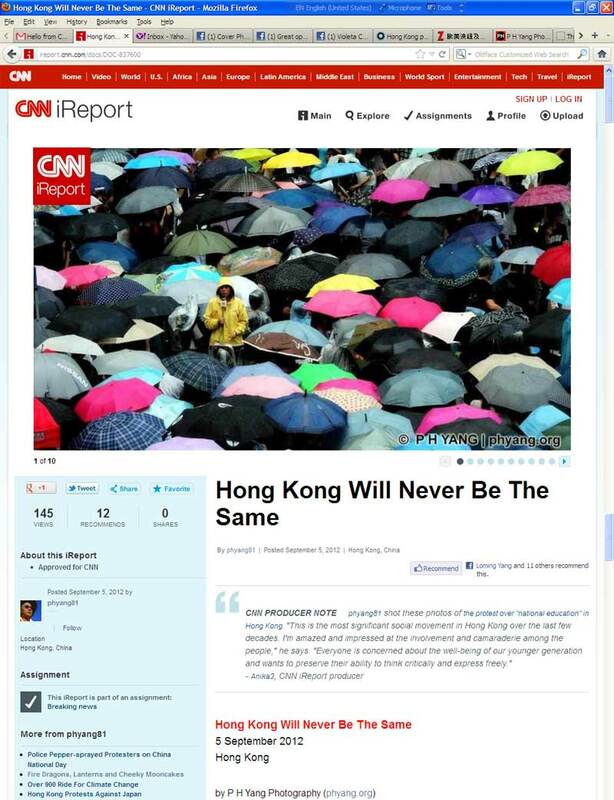 "Hong Kong will never be the same," observed S M Tsui. 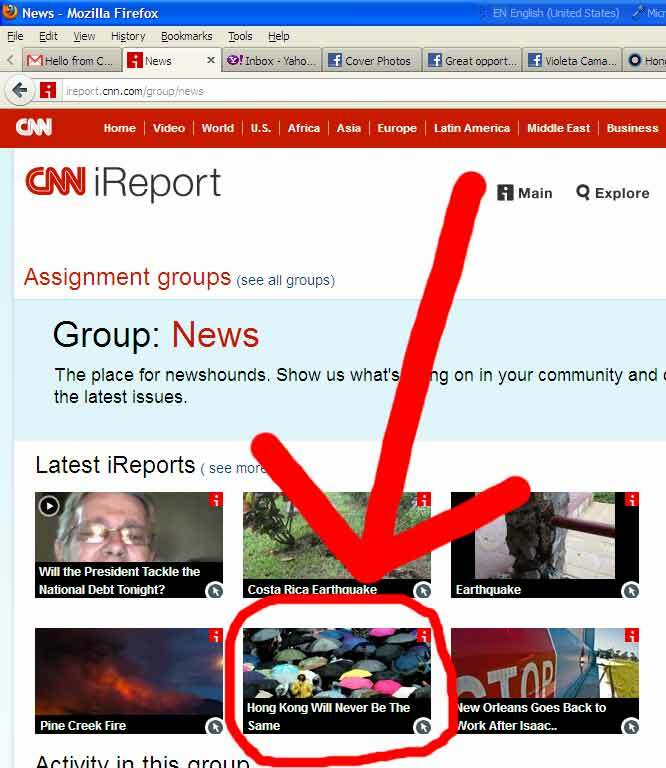 plus a daily blog on current affairs, media and culture (in Chinese) and enjoys a wide following. 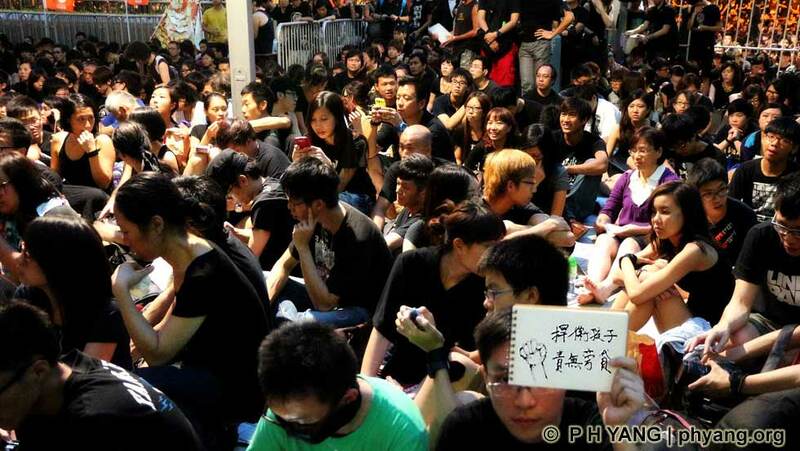 and is opposed by 52% of the population, according to a recent poll by the University of Hong Kong. who follow the three secondary (high) school students who struck for 3 days. schools this September and extends to secondary schools from 2013 and phase in the lessons over three years. his Bureau are biased but refused to retract it or the national education program. the rumor that national education is one of his four political missions from Beijing. to Beijing (probably with a high entry threshold or pre-screening by an small election committee). the new curriculum is simply an extension of civic education and not a brainwashing exercise. 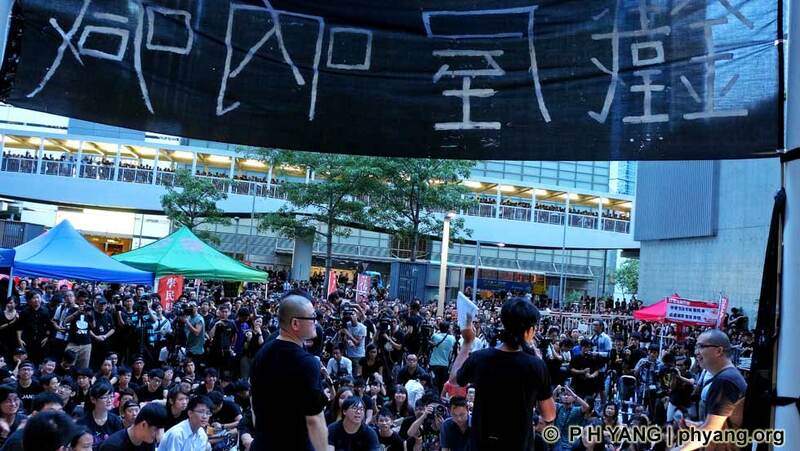 These protest gatherings resulted from intransigence by the government after 90,000 took to the streets on July 29.
their children to think critically is being threatened. 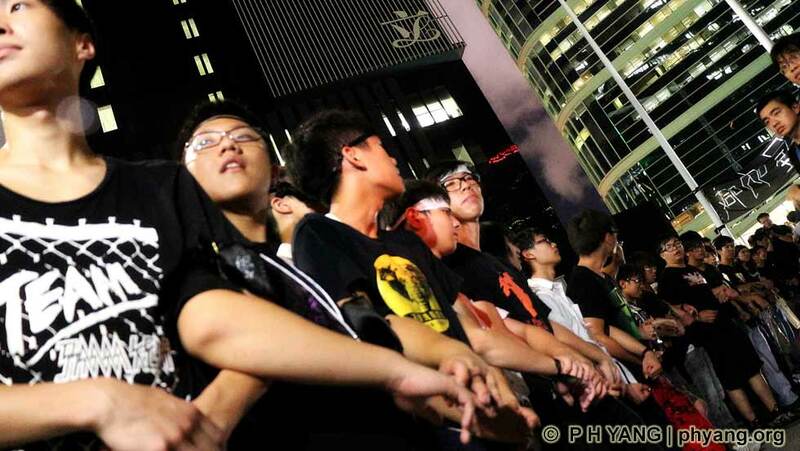 broadest support and the most involved participation," said Tsui. wrong and even change the officials involved." development secretary stepped down due to corruption investigations by the Independent Commission Against Corruptions (ICAC). 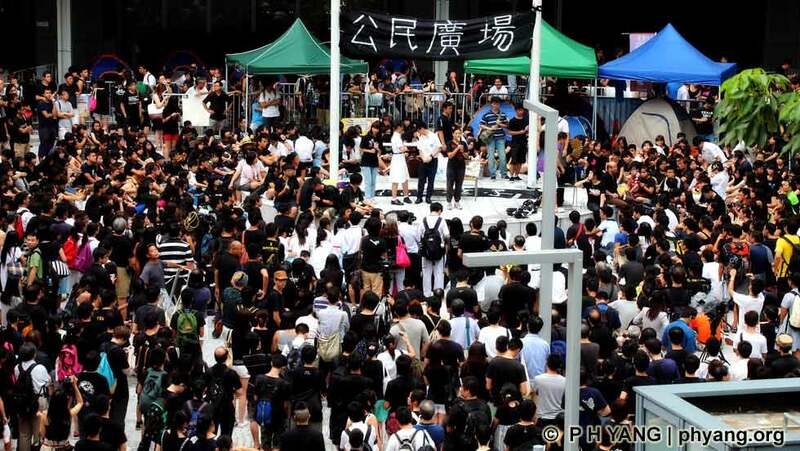 of this tug-of-war between the Leung government and the people will soon be revealed. 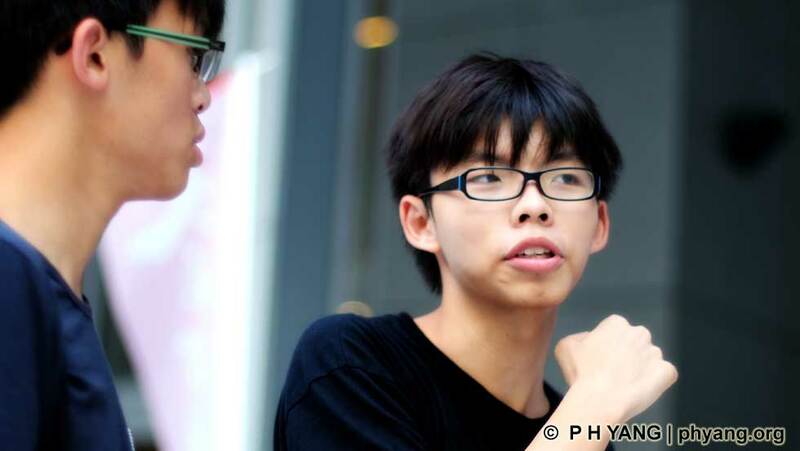 15 year-old Wong Chi-fung founded the Facebook group, Scholarism, amassed over 121,000 followers and ignited the mass movement that changes Hong Kong forever. 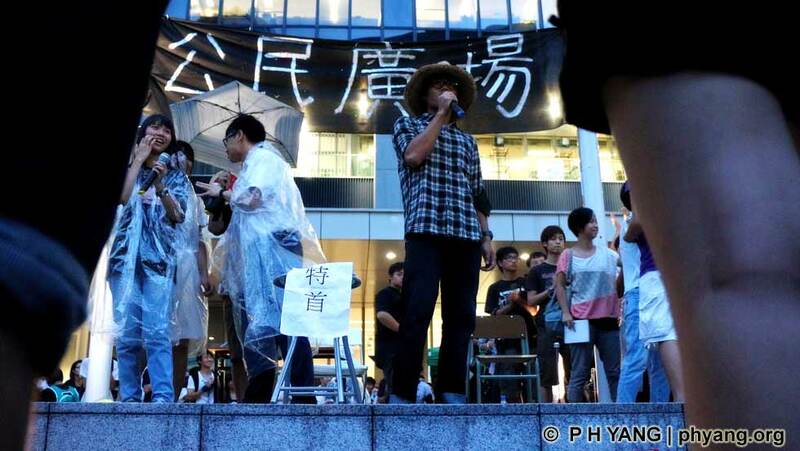 Protesters turn the ground outside government headquarters into a public space and mark it with a Citizens' Plaza banner. Waiting for CY Leung, Hong Kong Chief Executive (represented by his signature folding chair when he visits the community) is like Waiting for Godot, the absurdist play by Samuel Beckett where the protagonist never shows? 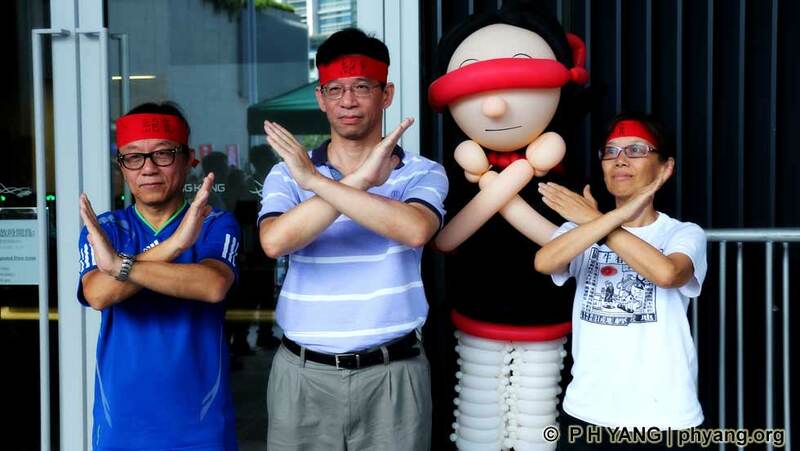 Joey Wan sports the paper loop indicating "No Brain-washing" she downloaded from the Scholarism Facebook page. 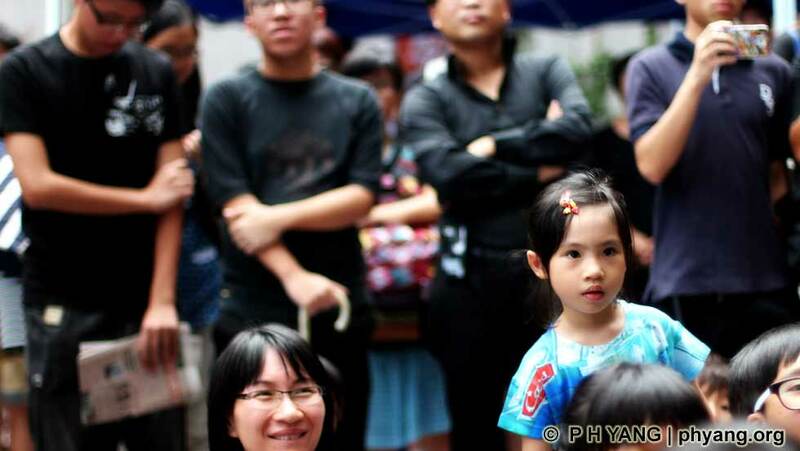 4 year-old Cally Chan is as engrossed by the music and messages of the gathering as her mom Vanessa. This is the first protest they join ever. 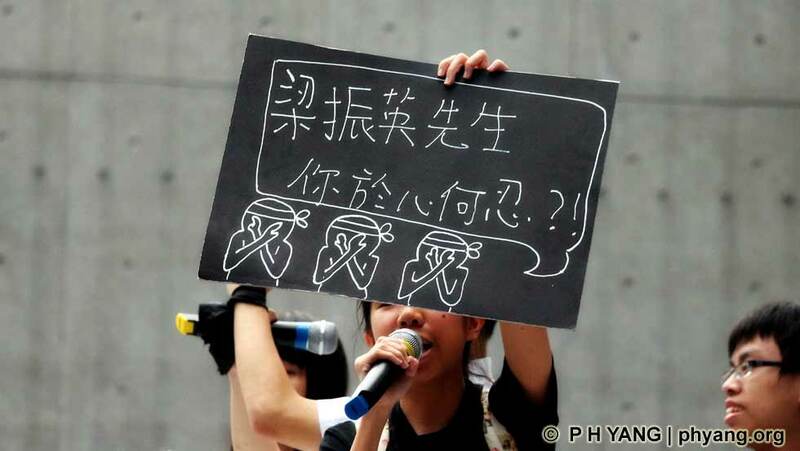 The 14 year-old student creates and carries the sign that reads "Mr C Y Leung, how can you be so heartless?!" wherever she goes, attracting lots of attention. Volunteer students go arm-in-arm to clear a path for the rumored arrival of government officials who never showed up. 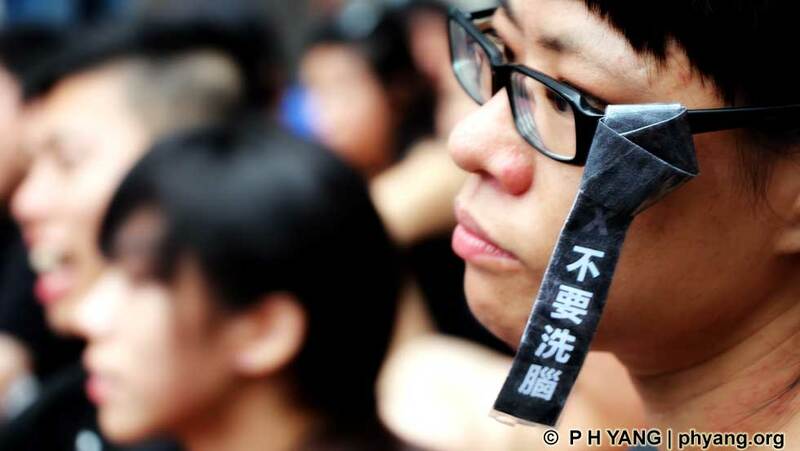 A protester expresses his conviction that we are duty-bound to defend our children. The Photo Essay on . Click thru to view photo essay.